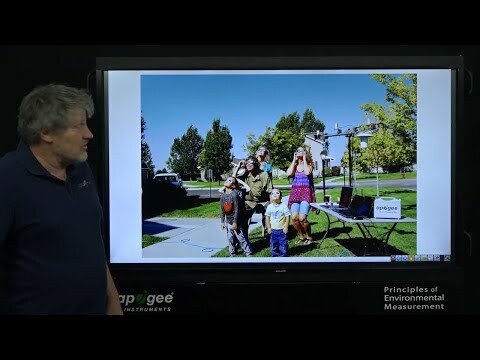 Apogee Instruments: Lights, [Sensors], Action! Light is a concept that starts off being really simple to understand as a child, and then slowly grows to be something that is much more than meets the eye (literally). Being a new hire at Apogee, there are a lot of cool sensors and instruments to get familiar with. They range in form and function, as well as by what they measure and how they're used. What many of them have in common is that they measure electromagnetic radiation. Refresher course: Everything we see is caused by a small slice of electromagnetic radiation. We see electromagnetic radiation between the wavelengths of about 400 and 700 nm, and our eye perceives the different wavelengths in that range as a rainbow of colors. All the colors we see are called visible light. 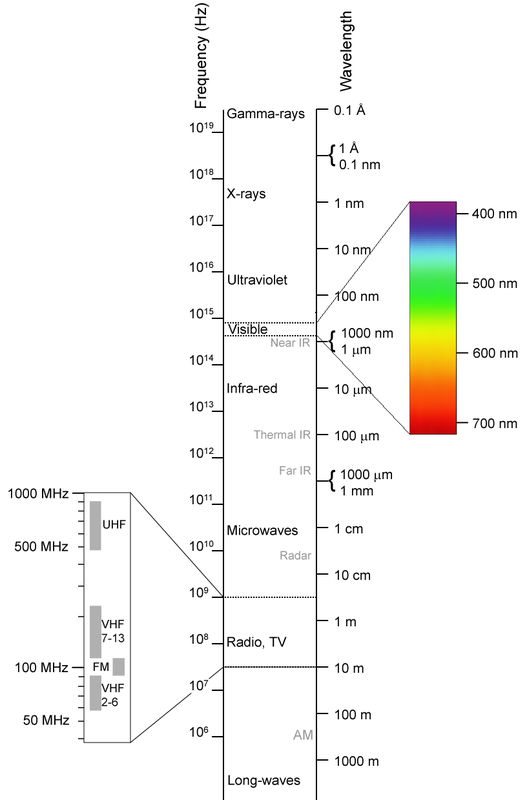 Shortwave radiation includes everything in that visible range, along with some infrared and ultraviolet wavelengths. All light, whether visible or not, is electromagnetic radiation. Ultraviolet sensors - Measures UV radiation in the range of 250 to 400 nm. Quantum sensors - Counts photons in the photosynthetically active range (400 to 700 nm). Pyranometers - Measures shortwave radiation between in the range of about 300 to 1100 nm. 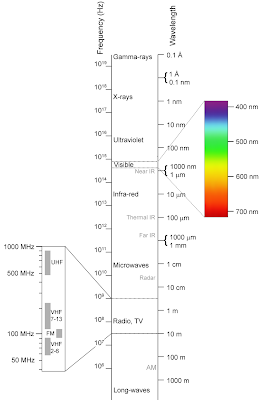 Infrared radiometers - Measures the infrared radiation (temperature) emitted from surfaces. At Apogee, we are continually working to improve our existing radiation sensors, as well as develop new products for light measurement. Check back soon for new product announcements. If you are using our sensors for something unique, or if you have a specific idea or request, let us know. With the right equipment, light can be much more than something we take for granted. Light measurements can be used to improve agricultural processes, increase technological efficiency, and facilitate environmental safety. Making quality sensors is just one way that Apogee is helping the world make better [light] measurements.